Today in my children’s literature course we’re going to continue our exploration of Children’s Literature on the Web. For the first four weeks of class, I asked students to select a blog about children’s or YA literature that was interesting to them and follow it. Some of the weeks, we had conversations in class about what we were finding/learning/discovering. Each week I asked them to post a list of things that they had found interesting on a discussion board of our class website. 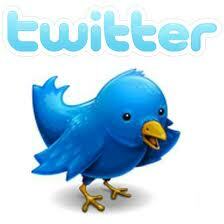 Twitter 101 – “New to Twitter? Been there a little while, but don’t really understand what’s going on?” Not an official twitter site, but very very helpful. #4pound – this is the fantastic google doc created for the NCTE presentation I mentioned earlier. It explains hashtags and talks about some that are specific to children’s literature and teaching. What are some of your favorite hashtags, people, trends to follow on twitter? How does it inform your thinking about children’s literature, teaching, reading, etc.? This entry was posted in Children's Literature, Teacher Education, Teaching and tagged literacy initiatives, titletalk, twitter by childrenslitcrossroads. Bookmark the permalink. I just started a teacher twitter for my 8th graders to follow….I appreciate the resources! I would be very curious to see which blogs your students enjoyed reading! I am a Children’s librarian, coincidentally also in the greater Lansing area. Some of my favorite people to follow are my fellow #flannelfriday-ers, who post a felt/flannel board story every Friday. Here are a few: @MelissaZD, @daisycakes, @opinionsbyanna, @molliekay, @ReadingChick, @storytimingcate, @aflemming. Also enjoy: @100scopenotes, @librarianbyday, @hhibner, @librarymary40, @RogerReads, and @MrSchuReads. Have any of your students explored Pinterest at all? They might be inspired by some of the good ideas on there. I wrote a post on my blog about using it for work purposes: http://www.sotomorrowblog.com/2012/01/pinterest-for-librarians.html.